Wesley A. Fisher is the Director of Research at the World Jewish Restitution Organisation (WJRO) and the Conference on Jewish Claims Against Germany, which conduct a comprehensive program toward the restitution of Jewish-owned art and cultural property lost and plundered during the Holocaust. Specialised in the matter of cultural property and looted art, Wesley A. Fisher makes sure information about the provenance of artworks is made available, and also works toward a claim process in all countries, establishing their general structure of the laws and procedures, through negotiations with the governments of Europe. 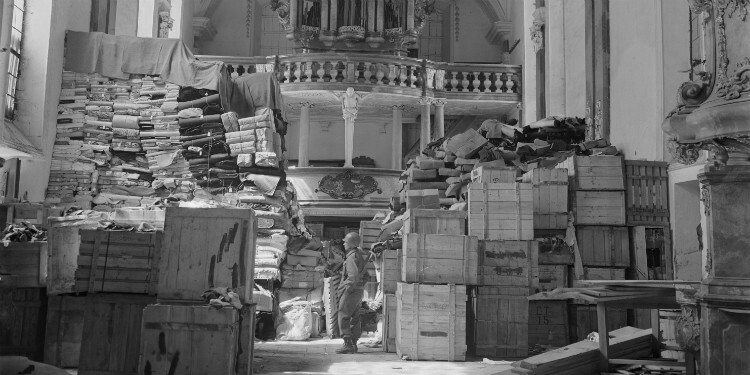 At the Washington Conference on Holocaust Era Assets in 1998, 44 countries endorsed the Washington Principles – a series of guidelines – which call upon governments and museums to ensure that there is a just and fair solution to the issue of looted art. On 25 June 2015, the WJRO released a report concerning current approaches of the United States to Holo caust-era art claims, demonstrating that major U.S. museums have recently been asserting defences to avoid resolving on the facts and merits claims by Holocaust victims and their heirs for the restitution of art pilfered by the Nazis. Art Media Agency had the chance to speak with Wesley A. Fisher to discuss his work at the WRJO and the impacts restitution can have on the global art market.